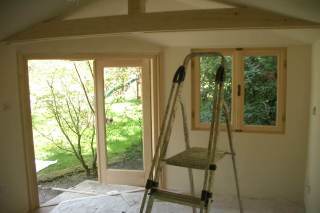 To make your Garden Office user friendly throughout the seasons it is recommended that you insulate the roof and floor which accounts for 70% of the heat loss from your garden room. Our option costs for floor and roof insulation are shown for every log cabin we sell. Simply choose a model to see detailed installation costs. Clearly choosing a garden office with double glazing and a wall thickness of at least 34mm will also improve the thermal performance that is why our garden office range is focussed on log cabins of at least this wall thickness. If you prefer we can also build 44+50+44mm (twin walled) log cabins allowing insulation to be inserted between the walls. 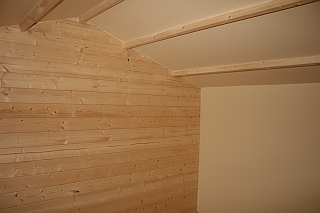 Alternatively wall insulation can be added to the interior using wooden studwork, insulation and then plasterboard. Our advice would be to try your cabin with roof and floor insulation first for a season as you may find this is sufficient. If necessary wall insulation can be fitted later. This service is costed at £30 per square metre of wall area and includes all materials and labour. The plasterboard will be tape and jointed then sanded ready fior painting. I already have a garden office and would like it insulated. Do Cabin Living offer an insulation service? Our insulation service is available for all customers looking to upgrade existing garden offices or those looking to buy and build a comfortable garden room. 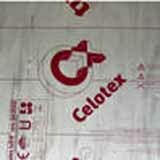 Celotex or Kingspan insulation - ideal for creating a well insulated Garden Office. We do not recommend foil bubble wrap often described as "insulation" by our competitors and would advise you check the specification of the insulation on offer. We only use the highest quality foil backed insulation boards availalble in sizes 50mm, 70mm and 100mm for commercial use. We are unique in offering Garden office insulation to our entire product range. We use only the highest quality insulation products from Kingspan, Celotex or Xtratherm and fit timber or plasterboard between the roof joists as shown below. We can insulate every garden office in our product range. Pricing for wall and floor insulation is shown in the guide prices on every product page. For year round use as a garden office the floor insulation we recommend is 50mm thick celotex or Kingspan insulation underneath either a laminate floor or real wood floor or 18mm plywood suitable for carpet tiles etc. 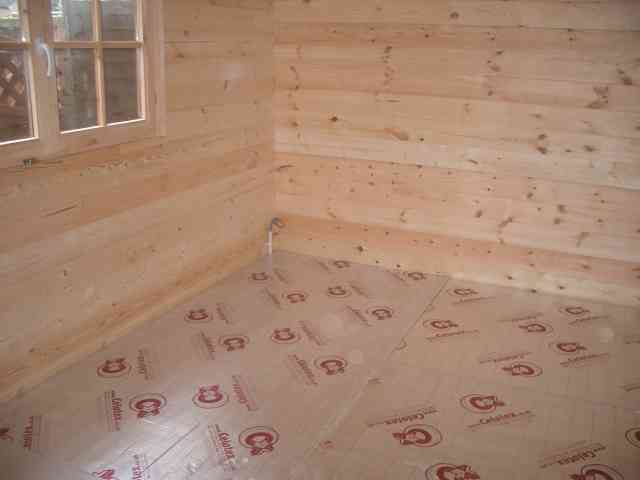 We can also insulate log cabins to building regulation standards if required for residential use.